For Bread Week 26, I revisited a recipe that I’ve made several times but just have never gotten around to writing about it. 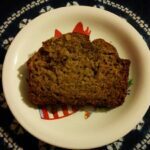 Each time we have overripe bananas, I try this recipe from Smitten Kitchen for banana bread, and each time, I give myself a pass on writing it. I’ve usually turned this recipe into banana muffins, but I don’t recall how long I baked them for. This time, I went with a regular loaf. The bread was very tasty. It was moist and satisfying and banana-y. 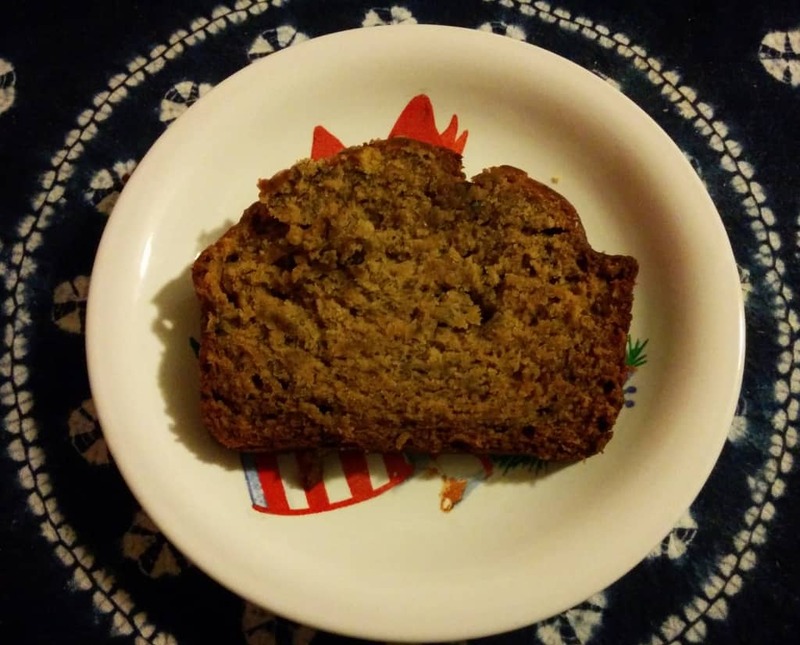 With the brown sugar, spices, and alcohol, it’s a richer banana bread flavor that I still like, even after making it several times before blogging about it. The bourbon and heavy spices reminds me a little of fruit cake. During this last batch, we cut out the cloves entirely, and cut back on nutmeg. I miss the nutmeg a little, but I do enjoy it more without the cloves. 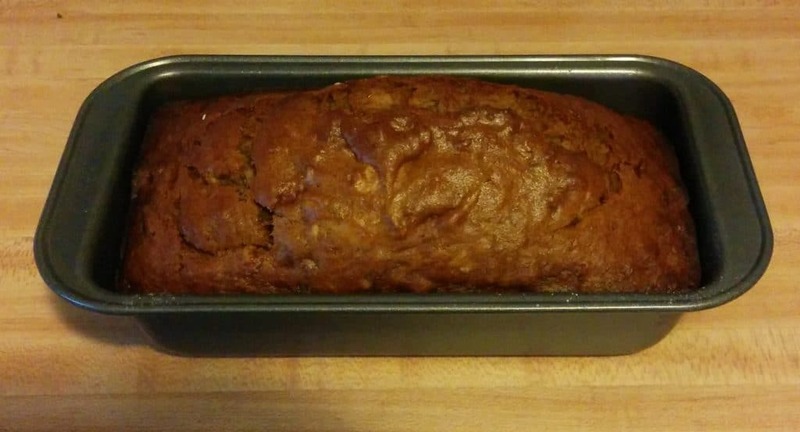 This is definitely a banana bread worth giving a try. Mash bananas in a large bowl. Mix in oil, then mix in the brown sugar, egg, vanilla, and bourbon. Stir in the baking soda, salt, and spices, then add flour. Using a rubber spatula, scrape batter into a well-greased 8x4 inch loaf pan. Bake at 350F for 50 minutes, or until a toothpick inserted into the center comes out with only a few crumbs attached. This recipe was adapted from Smitten Kitchen.